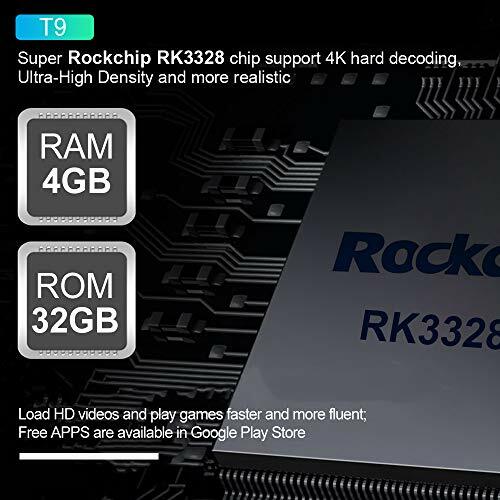 【Multifunction and Latest Android 8.1 OS】Comes with Android 8.1 operation system, the latest RK3328 Quad-Core Cortex-A53 CPU with Mali-450 MP2 GPU, which make sure the box running stable and smooth to load movies, pictures and games without buffer, no need to wait for wonderful moment. Android 8.1 raises the bar in performance and usability with a slick lag-free interface,more stable. 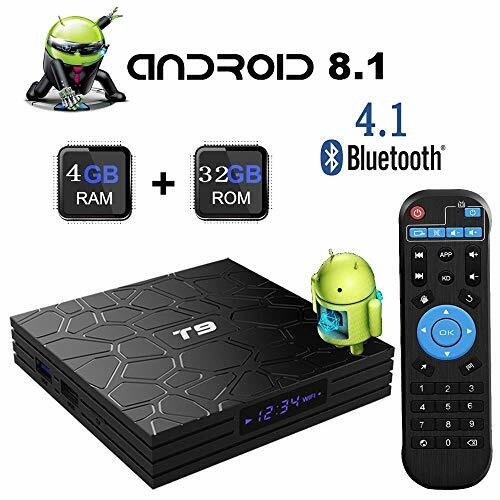 【High Reaction Speed】T9 Android TV box provides IR Remote Control and plentiful room 4GB RAM 32GB ROM,Get ready to start steaming your favorite TV shows, movies or sporting events through hundreds of streaming apps that come on the smart box or are available through the app store! 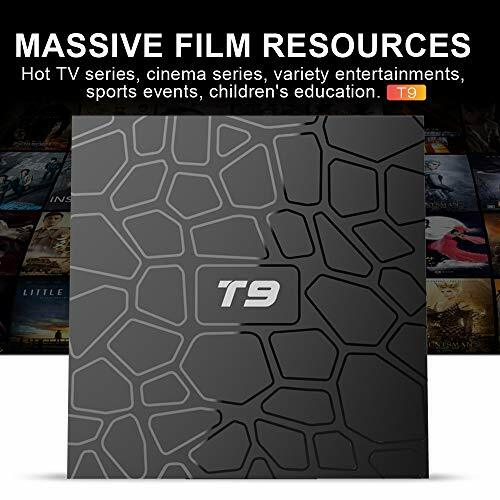 Which improves the reliability of your TV box and prevents crashes due to lack of memory. 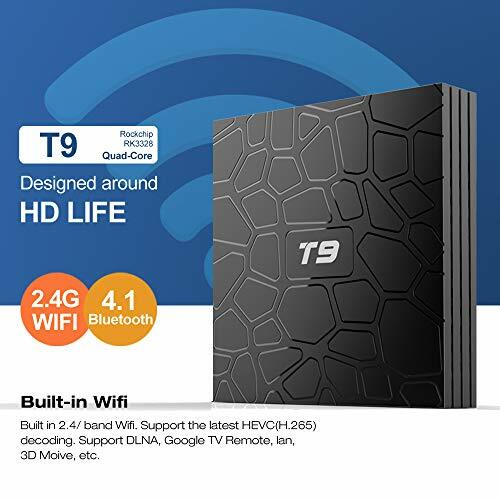 【2.4G WIFI & BT 4.1】Our Box supports 2.4G Wifi, if you like using Wifi ,it exactly match your needs. 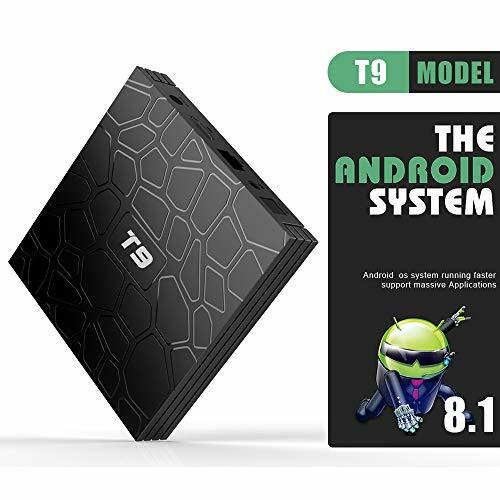 Stable, Fast and High Quality Wifi signal. And the BT 4.1 allow you use mini keyboard and headset to enjoy the box. 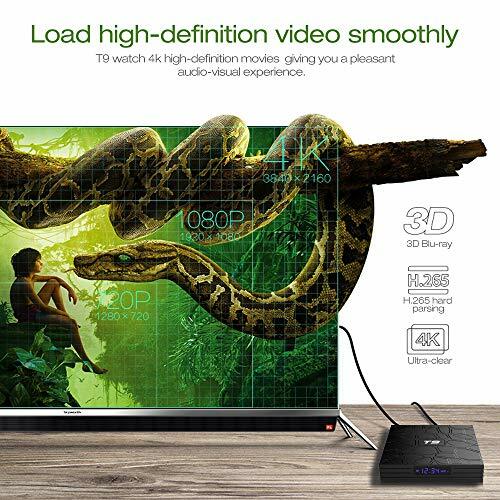 【Breathtaking Visual Power】Videos In 3D 4K Resolution and HD Decoding: Not a single detail will be missing while your movie and games are in 4K ultra HD.H.265 decoding loads pictures by taking half time and half occupation of bandwidth of H.264 decoding,much more efficient and faster than the old tv box.Support 4k and 3D movie, no need go to the cinema to watch 3D movie. 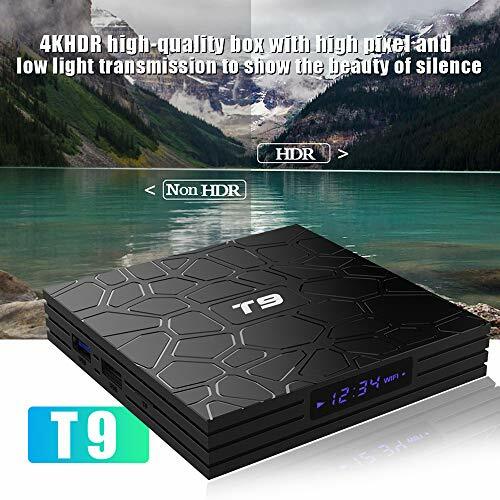 【Our Warranty】T9 tv box provides better and happier entertainment experience.We try our best to make 100% satisfaction of our customers: 1.one year warranty. 2.response within 12 hours: Please do not hesitate to contact us if you have any question or concern, we will fix your issue within 24 hours.